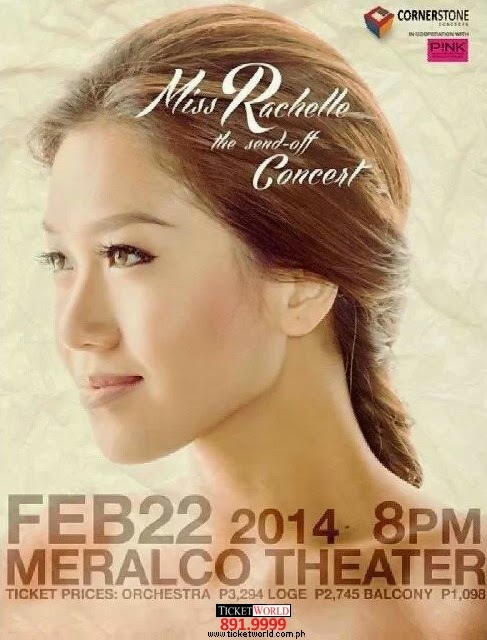 "Miss Rachelle: The Send-off Concert", which will be held at the Meralco Theater (February 22, 2014 at 8pm)! This 2014, just a few weeks before finally flying to London, Rachelle Ann will be staging "Miss Rachelle," her 10th anniversary and send off concert. 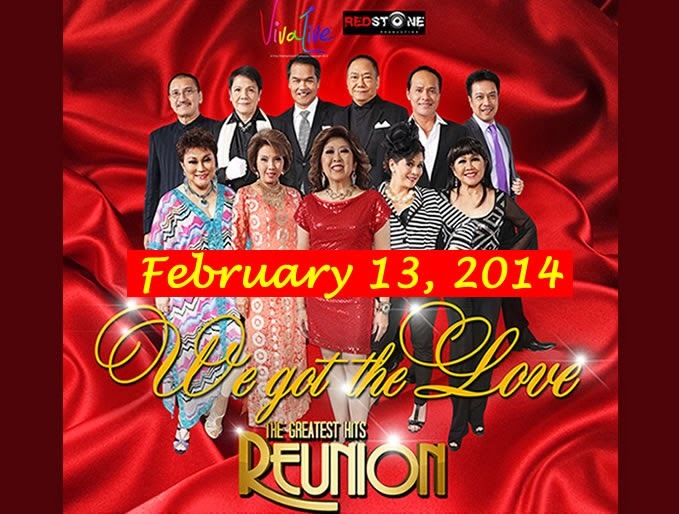 We Got The Love: The Greatest Hits Reunion (A Special Two-Day Valentine Concert) at the PICC Plenary Hall. The Performers are Eugene Villaluz, Pat Castillo, Ding Mercado, Louie Reyes, Ray-an Fuentes, Jacqui Magno, Chad Moreno, Basil Valdez, Hajji Alejandro and Joey Albert.